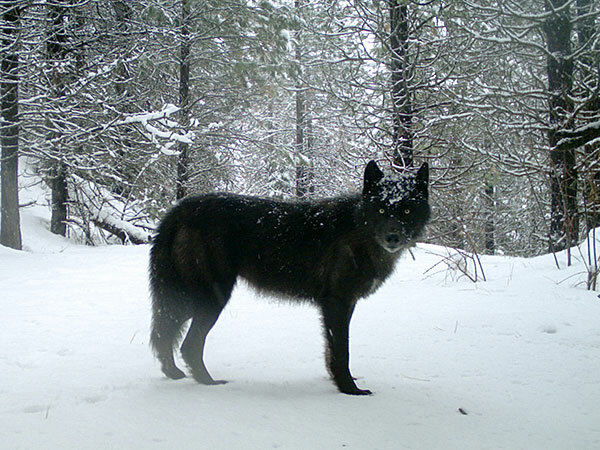 A wolf of the Wenaha Pack captured on a remote camera on U.S. Forest Service land in northern Wallowa County. Photo by ODFW. 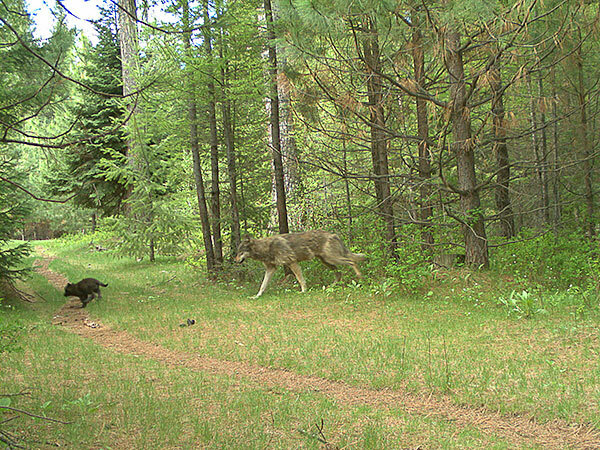 Two members (one subadult and one pup) of the Catherine Pack on private property in eastern Union County. Photo by ODFW. 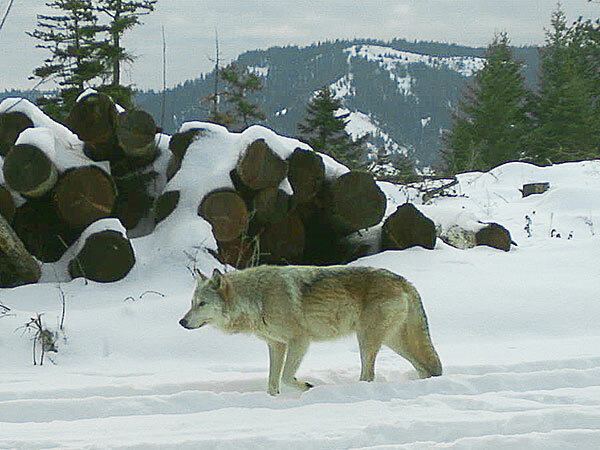 The breeding female of the Walla Walla Pack captured on a remote camera on private property in northern Umatilla County. Photo by ODFW.